Our team above loves fitness, but more importantly they love changing peoples lives thru fitness. They also understand that looking your best, feeling good, and maintaining a healthy & balanced lifestyle in New York City is very important- and just a smart way to live. INSIDER TRAINING was built to help, simplify, and better peoples lives. True lover of health and fitness, and everything a fitness trainer should be. Look the part, live the part, and most definitely love the lifestyle. Living it to the fullest, Drew is an expert at fitness and just a genuine nice guy with a serious devotion and passion to do what he loves: helping people change their lives daily with fitness, motivation, and years of experience. And now he is evolving fitness into a well-needed new arena, bringing physical fitness conditioning and functional movement to employees all over NYC. Drew concedes that "Employees that sit at their desks for hours upon hours, day after day, are doing serious damage to their bodies when they do not get the proper exercise and circulation their bodies need". And so he decided to combine his expertise with a good idea and business plan, to emerge a company that would make a positive change and difference to thousands of employees and companies in New York. A former international fitness model, Drew has personally worked with and trained such celebrities and A-lister’s as: Golden Globe winner Christian Slater and conditioning him for his hit TV series "Mr. Robot", Game of Thrones star Nikolaj Coster, Tony Award winner Alfie Boe, TV and film actor Craig Wroe, child TV star Jaden Michael, and Boston Red Sox player Kevin Heller. In 2013 while training under Drew’s comprehensive strength, agility, and circuit training program, Kevin was drafted to the Boston Red Sox line-up! Hands down, this is one of Drew's proudest achievements in his fitness career. Drew's outside passions aside from fitness are his family, his Akita Ruger, playing guitar, riding his motorcycle, and technical analysis- trading foreign currencies on the Foreign Global Exchange market. Hence the name- InsiderTraining. Meet Volha. She is one of NYC's finest and friendliest female personal trainers and master instructors. And she is really passionate about group fitness and Zumba! She is accredited under A.C.E, and also is a multi-certified Zumba instructor. She truly lives and breathes health and wellness, and puts the fun and finesse in fitness. You can always count on Volha to bring high energy, plenty of smiles, and an amazing workout to the table. She is truly a walking billboard of health and fitness inspiration and we are very proud to have her on the InsiderTraining team. Growing up his entire life around sports and receiving the National Council of Strength and Fitness certification, Kenny has immense fitness knowledge and the ability of understanding functional movement. 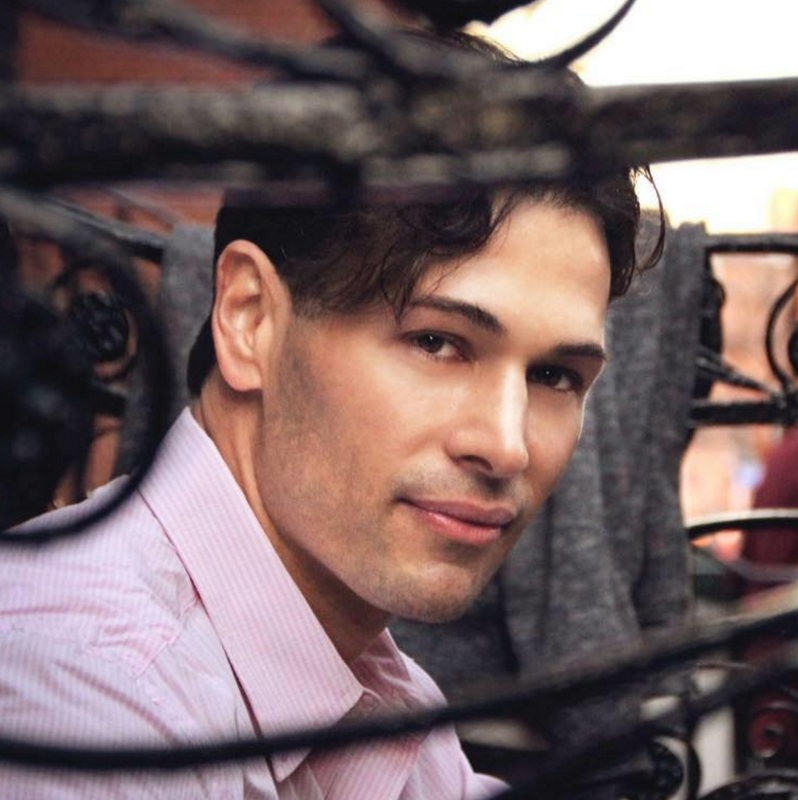 With a compliment of strength, power, and athletic training in his arsenal of fitness experience, Kenny is by far one of the most highly capable and results driven trainers in NYC. As an athlete and fitness model, Kenny is a walking billboard of health and fitness. He strives daily to not just make positive change in his own pursuits, but those of all his clients. Kenny’s philosophy and objective are for his clients to see fitness as a sustainable lifestyle and not just a goal. Train with him and you’ll surely see! Tara is an NCSF certified personal trainer with enough energy to light the whole city. She started her career at Equinox where she gained immense knowledge and experience working with a wide range of clients. She focuses on functional movement to impact clients both in the gym and out in daily life. From injury rehab to pre/post-natal training, her programming is customized to each individual’s needs and goals. Her sessions are a balance of efficient diligence, positive energy, and playfulness to trick you into having fun while breaking a sweat. She's the perfect compliment to the InsiderTraining Team. Aesha Waks is an IFPA certified advanced personal trainer as well as certified sports nutrition coach and certified life coach. Author of “The Model Body Plan” currently on BarnesAndNoble.com and Amazon.com, Aesha has also written for The Rockaway Wave as well as the national Enquirer, where she gave diet advice to starts such as Star Jones. She has a wide variety of experience with actors, models and celebrities as clients, such as Grammy award winning artist Miri Ben-Ari “The Hip-Hop Violinist" and helped clients lose significant amounts of weight while remaining in full control of their body. Modeling and appearing in movies, and on numerous magazine covers and billboards, Aesha understands the stress and expectations of this industry, and she helps her clients achieve their goals in the healthiest way possible, while allowing her clients to make their own choices. Aesha focuses not just on body but principals of mind and spirit as well. "I will create a custom diet and meal plan for you!" Kesha Marie is a National Certified Personal Trainer, Zumba Certified Basics 1 Instructor, NPC National Figure Competitor and Nutrition Consultant. Like Whoa. She is devoted into every single one of her clients' fitness goals and she commits in delivering exactly what they desire! Her speciality lies in enhancing the men and female physiques by mixing up workouts in delivering your body healthy curves, toned definition and healthy nutrition to include in your everyday life. She believes in making training a fun experience and truly rewarding at the end of the day! Her goal is to make your fitness goals and desires, become a reality! "Let's do this together! Let's Go!" And we just love her energy, her passion, and having her aboard Team InsiderTraining! Why do you need a personal trainer? Well thats simple... Even the greatest athletes in the world have coaches & trainers. And without them in their corner, they probably would not of excelled to their fullest potential. We can always learn something new, and be taken to another level of mind, body, and fitness. We take our personal training seriously and personally. When you invest in us, we are truly invested in you. "Drew. Just wanted to take a moment to say: Thank You! I had a great time working out with you and you are a great trainer, man! I just want you to know how much I appreciate your work and time." 3x per week x 6 months of weights and high intensity circuit training in preparation for his award winning Mr. Robot series. 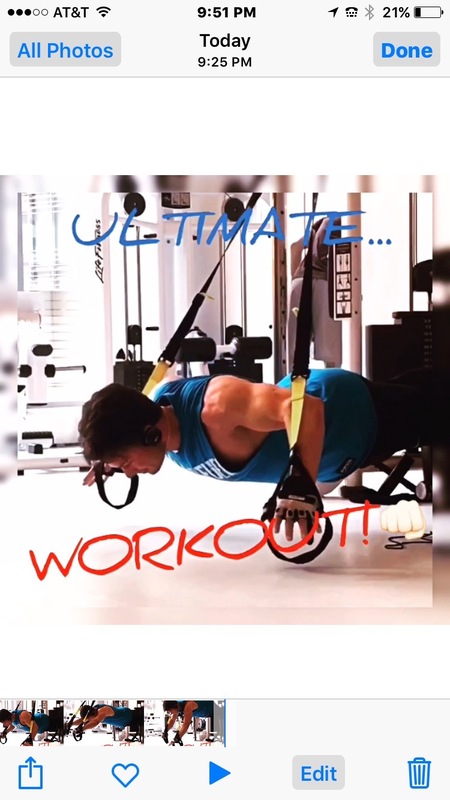 "This guy (Alfie Boe) is a beast when it comes to his craft as a musician and his fitness", I had a blast training with Alfie! 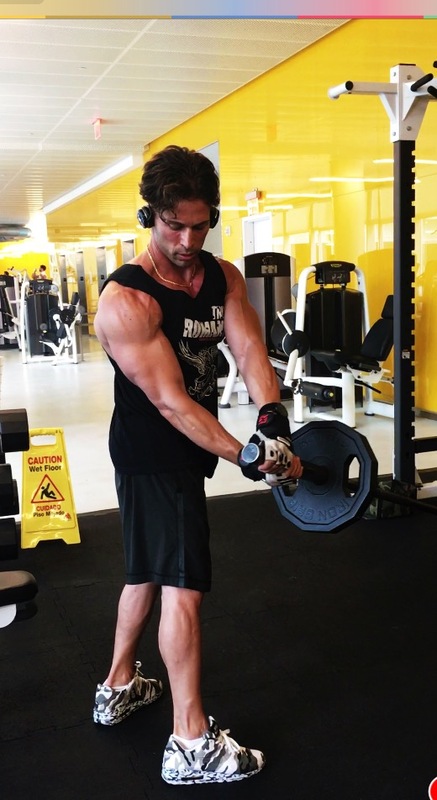 - Keeping him lean, conditioned, and strong for all the hard work that he does on and off Broadway, and concert stages across the world. Watch Tony Award Winner Alfie Boe in action with Drew here. Drew and I have been training for 3 years. I have lost lost 126lbs to date, toned immensely, and gained a lot of strength and muscle. When we first started this fitness journey I could barely do any exercise without being completely exhausted and not enough strength.. I am so happy of how far Ive come and how great I feel today. I know without Drew's training and motivation, I would not have been nearly as successful in my transformation. Share your testimonials from your sessions with Drew or any of our elite trainers! We are happy and proud that we can help you achieve your goals to feel better, look better, and live a happier, healthier life! Thank you! We'll contact you shortly! book your 1st complimentary session now!